In addition to being Weitz & Luxenberg’s nationwide headquarters, our New York office is a full-service personal injury/mass torts law firm representing clients throughout the New York metropolitan region. Founded in 1986 by partners Perry Weitz and Arthur Luxenberg, Weitz & Luxenberg is a national law firm with strong New York roots. One of our earliest victories was a $75 million verdict for Brooklyn Navy Yard workers exposed to asbestos. While the case cemented the firm as a leader in asbestos litigation across America, it is also an enduring example of the firm’s longtime advocacy for the working men and women of New York. "It’s a privilege to help people. We want to meet our clients face-to-face. The best relationship you’re going to have is where you start with a handshake with a client. It’s what sets us apart from other law firms our size. That personal relationship is the key." For a hit-and-run victim paralyzed from the chest down. The owner of the car that struck our client claimed it had been stolen. An investigation showed his son had been driving it. A $75 million verdict for a couple sickened after decades of asbestos exposure. The award for Marlena and Ed Robaey is the largest single case asbestos verdict ever for Weitz & Luxenberg. A $2.5 billion settlement for thousands of patients whose DePuy hip implants failed and were removed prior to August 31, 2013. The standard base payment was $250,000 per patient. New York ranks fourth in the nation for asbestos-related deaths. (3) Asbestos exposure can take decades to cause mesothelioma and other deadly diseases. Our firm has secured some of New York’s largest verdicts and settlements for asbestos victims. In a typical year, as many as 50,000 people may be injured in a motor vehicle crash in New York City alone. (4) Thousands more injuries may happen at construction sites or other workplaces, aboard airplanes or at airports, or from falls in public places. We have the resources and experience to take on drug and medical device makers when their products fail, endangering people’s health and lives. Our attorneys have played key roles litigating cases involving dangerous drugs and defective medical devices. Contaminates in the air, water, and soil can threaten the lives of whole communities. Our Environmental Pollution unit represents managers of local water systems and private individuals harmed by polluters. Corporations’ carelessness or willingness to cut corners can result in consumer fraud, defective or dangerous products, or data breaches that open you to the risk of identity theft. We have experience protecting clients from injuries and financial losses. Medical mistakes are the third leading cause of death in America, and as many as 1 in 3 patients admitted to hospitals may experience a medical error. (5) If you have been the victim of a medical mistake, Weitz & Luxenberg can help. Speak with an experienced attorney today that can get you the compensation you deserve. W&L attorneys are regularly chosen by peers as deserving Super Lawyers/Rising Stars status. These rankings gave Weitz & Luxenberg a national and several regional honors. 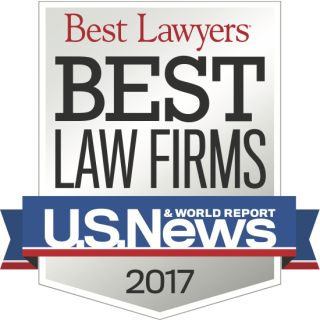 W&L is recognized by the U.S. News & World Report as the national Law Firm of the Year in Mass Tort Litigation/Class Actions – Plaintiffs. Founders Perry Weitz and Arthur Luxenberg have contributed a substantial gift to the Vaccine and Immunotherapy Center (VIC) at Massachusetts General Hospital. The VIC is developing immunotherapy drugs to better treat mesothelioma patients. iWalk4MESO.org, a “virtual race against mesothelioma” sponsored by Weitz & Luxenberg, raises research funds for further VIC research into treating mesothelioma.